Altometrixs combines 25+ years of experience both as a manufacture and consulting to offer solutions across multiple areas of expertise. Its deep operational and metric design capabilities provides a continuous emphasis on building and sustaining measurable performance. 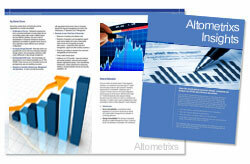 Altometrixs offers insights to its clients to educate and support their organization. Altometrixs regularly speaks at industry events, blogs about current industry topics, provides service related insights, is published in trade magazines and periodically issues white papers on important industry topics. Join leading industry professionals who get white papers, insights and other valuable resources delivered monthly. With over 20 years of diverse experience in the pharmaceutical and biotech industries, Altometrixs has helped many companies from strategic planning to contracting to critical process improvements. 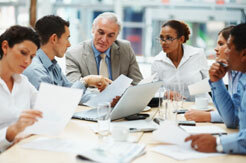 Do you need a strategic plan, a business plan or an operational plan? 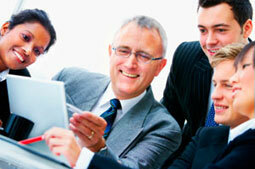 What Is Specialty Channel Management? Based on our extensive work across companies and business situations, Altometrixs has developed a large set of proprietary methodologies to pragmatically and rapidly dissect your particular situation. As part of your onsite team, Altometrixs will interact with your subject matter experts to understand the opportunity, the pertinent issues and challenges at hand. We encourage you to get in touch with Altometrixs to schedule a complimentary consultation to discuss your project and explore possible solutions for your particular needs. As a thought leader in the industry, Altometrixs regularly sends out white papers, insights and other valuable resources designed to educate and support you within your organization. Join leading industry professionals who get free and fresh content delivered regulalrly.